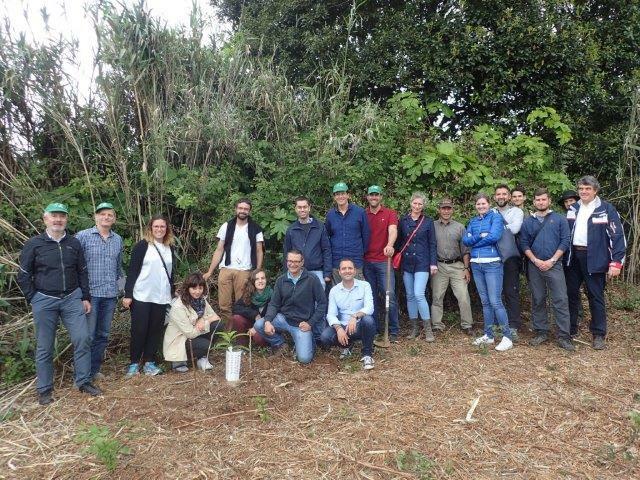 On 22 May, project partners have held a meeting with other Life Projects, LIFE+ Rabiche (LIFE12 NAT/ES/354), LIFE+ Guguy (LIFE12 NAT/ES/286), LIFE+ Garajonay Vive (LIFE13 NAT/ES/240) & LIFE+ Pinzon (LIFE14 NAT/ES/77) , which are also carried out in Gran Canaria. During the meeting they presented each of the projects with an emphasis on the synergies that can be established between them. The activity concluded with the visit to the demonstration areas of these projects in the Finca de Osorio.